Unobstructed, panoramic WATER & DOWNTOWN VIEWS through NEW WINDOWS and glass doors in this REMODELED, MOVE-IN-READY penthouse residence in One Watergate. 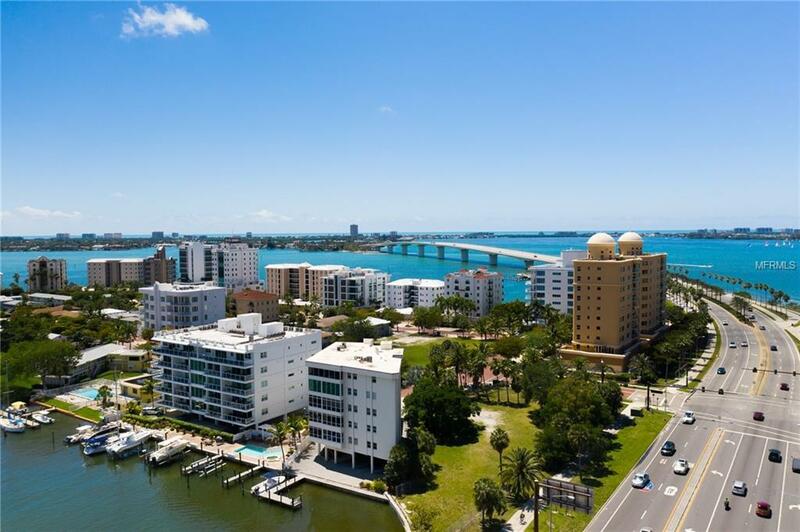 Memorizing, floor-to-ceiling views of Sarasota's most iconic scenes, including the Ringling Bridge, Longboat Key, the Kissing Statue and more, will captive you & your guests from every room. 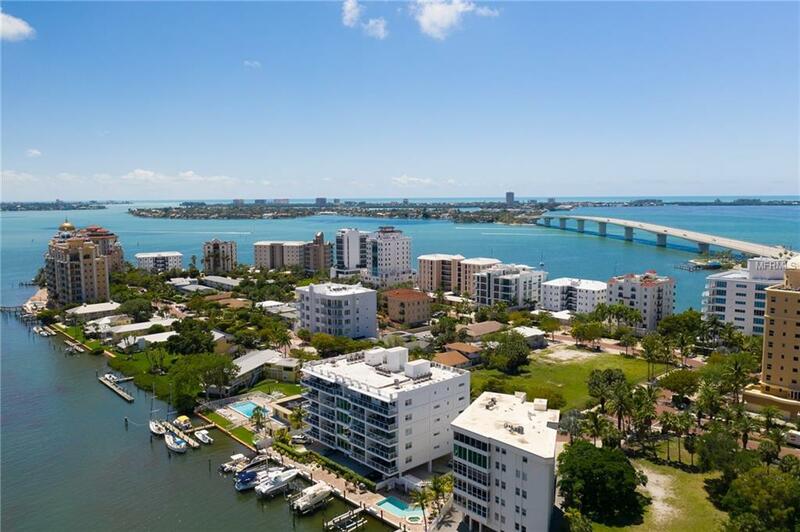 The updated, energy efficient, hurricane-rated windows & sliding glass doors lead to the newly refurbished balcony that spans the entire southwest corner of the residence & features glass railings for generous views. 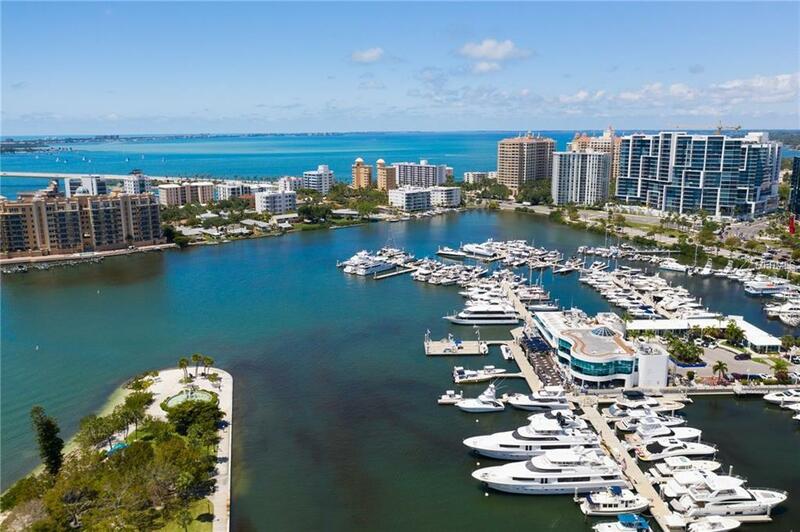 The spacious master suite offers stunning views of the bay & Marina Jack, & a sumptuous master bath with double sinks, garden bathtub & walk-in shower. Residence features an open living area with high ceilings & high-end finishes including include private laundry, solid wood cabinetry & quartz countertops, rich marble flooring throughout, recessed ceiling lights & crown molding throughout. 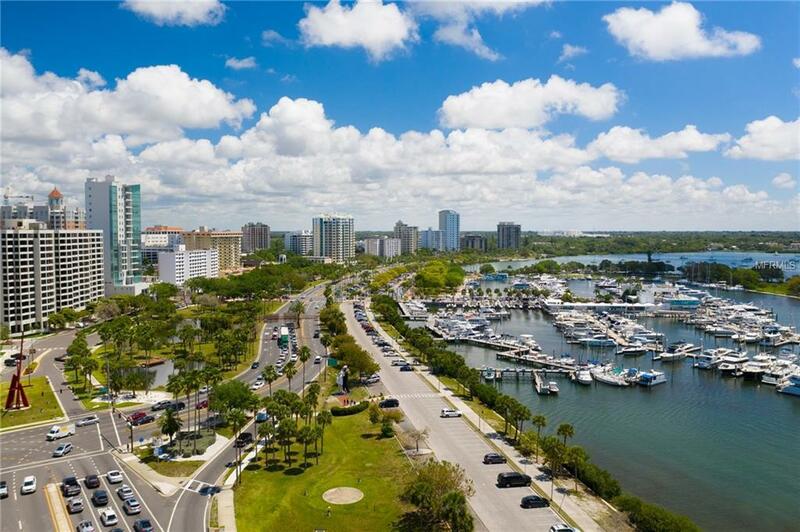 In the center of everything & incredibly close to world class dining & entertainment, One Watergate is an iconic, downtown Sarasota address with endless views & infinite possibilities in every direction! Residence include 2 assigned parking spaces in secured garage, along with an air conditioned storage unit. Community features include an owners' lounge & fitness area, on-site property management, elevator access, guest parking, heated pool & tennis courts. Request a private showing today. Additional Lease Restrictions Leases Must Be 12+ Months. Please Contact Building Management For Additional information.